Age will always catch up with us, no matter how careful we are and no matter how many precautions we take. However, there have been methods, which have allowed men and women, for several centuries, to delay the process becoming visible, especially on their face and skin. Over the years, methods and procedures have been developed, which allow people to delay fine lines and wrinkles and while today, medical methods have become popular, there are still plenty of home remedies and tips and tricks that can help. Sunlight is one of the biggest reasons for wrinkles, because the harmful rays harm the skin, leading to fine lines. So, if you are stepping out in the sun, make sure that you apply a generous amount of sunscreen and take an umbrella or a hat. What you eat makes a lot of difference, which is why you need to make sure that you eat plenty of fresh fruits and vegetables. There are several fruits and vegetables that are known to help with anti-ageing such as berries, avocadoes, tomatoes, kale, pomegranate, kiwi, fish, grapes, apples and papaya. In addition, it would make sense to remove as much of oily and sugary foods from your regular diet as possible and keep ‘fast food’ for the occasional treat. Water is incredibly important, which is why you need to keep yourself hydrated as much as possible. Water keeps the skin elastic and reduces the chances of it becoming dry. Before hitting the bed, use small amounts of almond oil and massage all over your skin and face, allowing it to work overnight. Smoking and too much alcohol can cause irreparable damage to the skin, which is why it is best that you avoid both. Vegetables such as cucumber and potatoes and fruits such as bananas and papaya can be turned into pulp and the same can be applied to the skin, to offer it the much needed hydration. 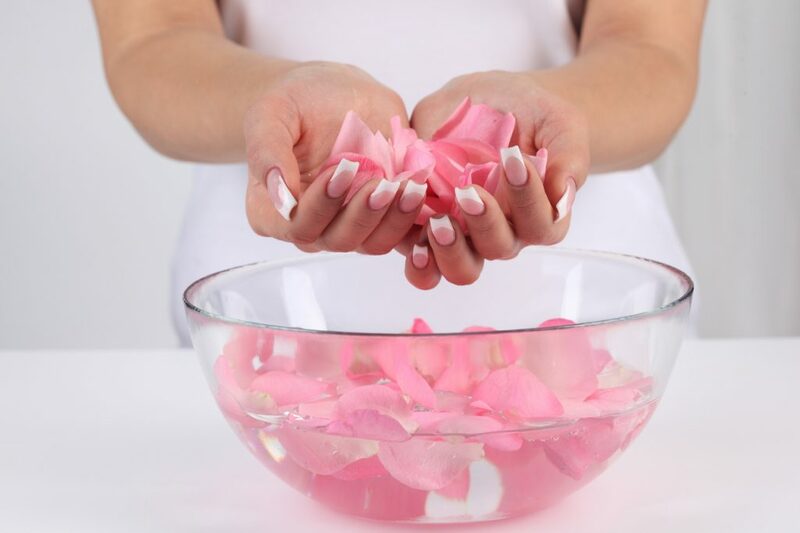 Rosewater is a natural hydration method and also offers regenerative and calming effects to the skin. Gentle application of rosewater to the skin can improve blood circulation and also reduce the puffiness beneath the eyes. Papaya face pack – Cut a papaya, remove the skin as well as seeds and mash it into a fine pulp. All you have to do is apply it all over your face and neck and allow it to sit for a few minutes, after which, you can wash it away with tepid water. A special enzyme in papayas can kill dead skin and remove it, along with all impurities that could have settled on the skin. Banana face pack – Deskin a banana and mash it into a fine paste. Combine a spoonful of honey and the same amount of rosewater to the mashed banana. Apply this all over your face, concentrating on the areas where you can see fine lines and dark spots. Leave this pack on your face for about 20 minutes and then wash off with warm water. 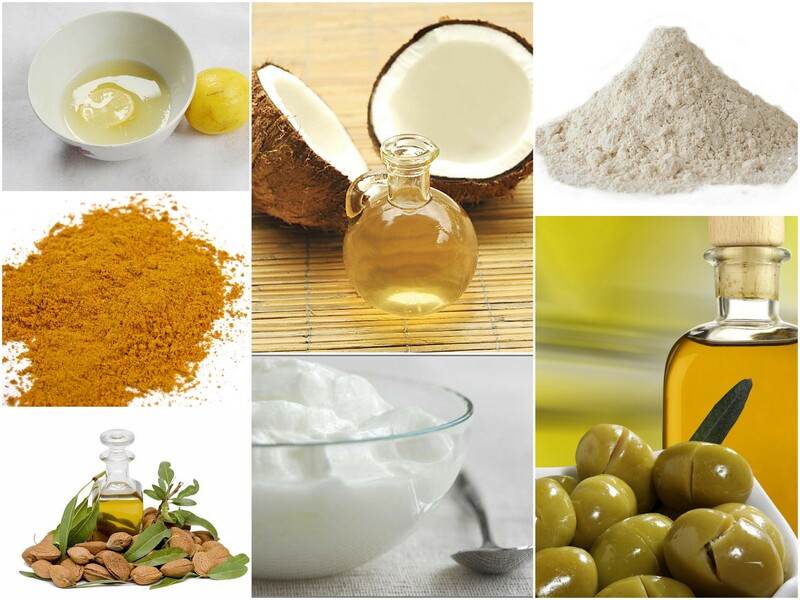 Turmeric face pack – This is a great solution for wrinkles and can be used by both men and women. Mix a pinch of turmeric into a spoonful of curd and apply this on your face, especially on the parts of the face, where you can see the fine lines. Allow the mix to dry on your face (ideally 15 to 20 minutes) and then wash off with cool water. Apple face pack – Cut an apple into small pieces and boil them in some water. Once soft, mash the apple and a large spoonful of milk as well as honey. Ensure careful application of the mix to your face and allow for natural drying, before washing it with water. Coconut milk face pack – The benefits of using coconut for skin and hair care have been known and recognised since long and the natural hydration it provides is great to keep the skin young and supple. Grate the flesh out from the coconut and press within your hands to extract the milk. With a cotton ball, apply the coconut milk all over your face and allow it to sit for a while, before washing it off with cold water. Milk cream face pack – Save the cream that forms on top of boiled milk, because this can provide natural moisturization to your skin. Combine a large spoon of milk cream with some lime juice and then apply it all over your face. Once dry, feel free to wash it off with water. Masoor dal face pack – This is a wonderful choice for people who want to tackle their loose pores, because this can tighten them, reducing the problem of age related skin issues. Soak the dal for a few hours and then grind it into a fine paste. Apply this paste all over your face and neck, giving it sufficient time to dry, before washing it off with cold water. Egg white face pack – This is a popular pack for skin that has succumbed to or has started succumbing to wrinkles. The egg whites will open the pores and will also help tighten the skin, toning it up in the process. Separate the white from an egg and whip it to a foam state, while adding a tablespoon of lemon juice and the same amount of olive oil. Apply this mixture to the face and neck and leave it to dry for about 20 minutes, before washing it off. DIY face pack – You can create your own anti-aging face pack by mixing one cup of buttermilk with four large spoons of oatmeal that has been boiled. Add a spoon each of olive and almond oils and create a fine paste. Apply this paste to the face, avoiding the lips and the eyes. As the pack dries, you will notice that your skin becomes tighter and there will be a decrease in the wrinkles too. AK Clinics offers a range of anti-ageing treatments, including chemical peels, skin resurfacing, Botox, facial and dermal fillers and vampire facelifts to name a few. We invite you to walk into any of our clinics and after a close examination our expert doctors will be able to suggest the perfect course of action for you.